Homemade strawberry lemonade is one of the greatest pleasures in life (especially on a hot summer afternoon)! But canning it for your food storage and for last minute company provides a magnificent sense of accomplishment. 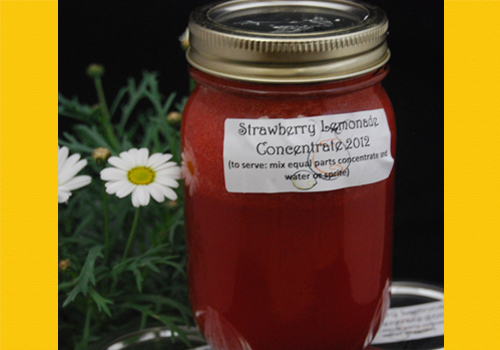 The greatest part of canning strawberry lemonade concentrate is that it is so easy, and if you do it in the spring when the strawberries are their best you will be fully prepared for the upcoming summer months. *This is a CONCENTRATE. To serve mix one part concentrate with one part water, tonic water, ginger ale, or sprite. 1- Start with fresh ripe fruit! 2- Prepare Jars and Lids. 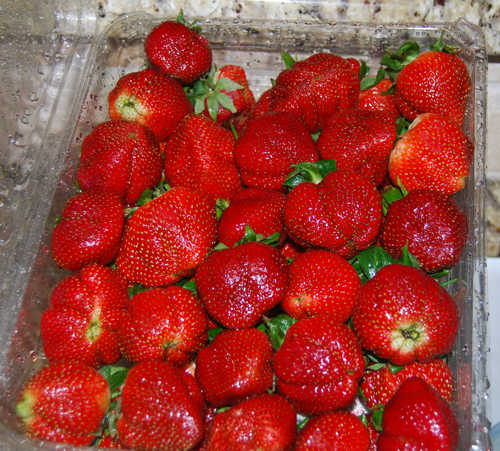 4- Combine strawberries, lemon juice, and sugar in a large stainless steel pot; stir well. 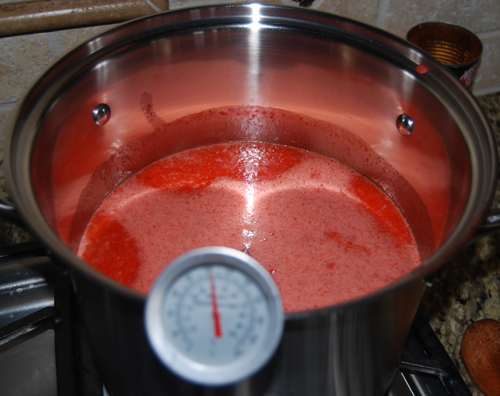 Heat over medium until the mixture reaches 190° F. Stir occasionally but do not boil. Remove from heat and skim off the foam. 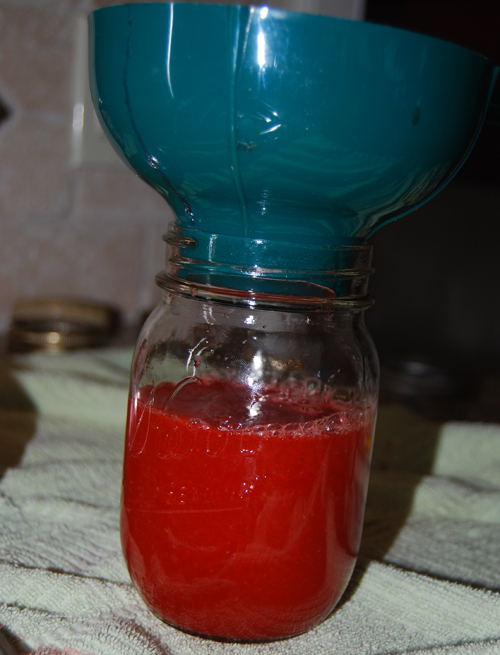 5- Ladle hot strawberry lemonade into hot jars, leaving ¼ inch headspace. Wipe rim to remove all sugar and spills (you will be sad if your jars don’t seal). Secure lids and rings. 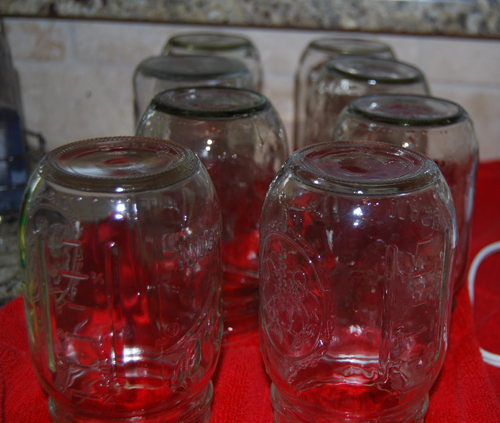 6-Place jars in a boiling water canner and cover with water. Bring to a boil and process for 15 minutes. Remove jars and allow to cool before storing. Taa Daa!! 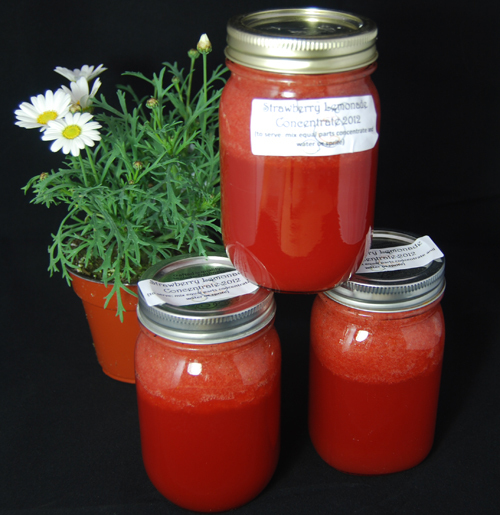 You now have strawberry lemonade concentrate to place on your pantry shelf for a hot summer day when you need a cool refreshing drink. To reconstitute simply mix one part concentrate with one part water, tonic water, ginger ale, or sprite. Earth Month Special: Save $20 OFF $100 PLUS Free Shipping! !